Fruits and flames everywhere! Can you ever get enough? 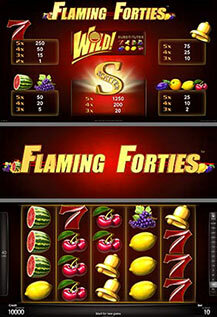 On these flaming hot 40 lines and 5 reels you can win up to 40,000 times your bet! WILD appears stacked on reels 2, 3 and 4 and substitutes for all symbols except SCATTER. SCATTER symbols pay on any position.